Chad from Adventure Filled Life shares his experience working abroad; teaching English in Taiwan. Tell us about your experience working abroad? When I started this journey I honestly didn’t know how long it would last. I’m thankful to have had the chance to make a lot of new friends and visit nearly every country in Asia over the last 4+ years. People here in Taiwan have been welcoming and friendly for the most part, and I hope to spend more happy years here. I guess you could say that I ‘caught the travel bug’ and decided to travel permanently. I had taken a few month-long trips while I was a student – but I felt like there was something more to see. I guess I wanted to experience something deeper than tourism, and to see what life is like outside of the USA. 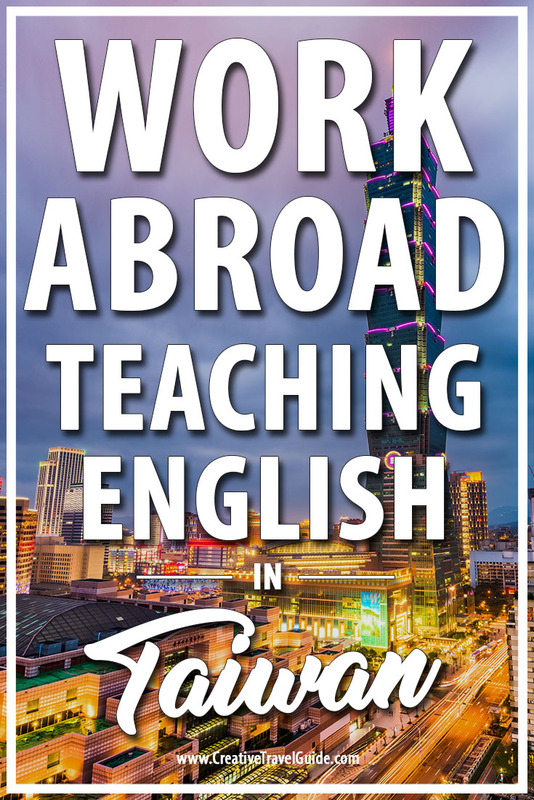 What did a typical day look like teaching English in Taiwan? Most teachers in Taiwan work with school children ranging from as young as 2-years-old through to high school. Teachers are typically in school from 9am – 4pm, although this will vary from school to school. A typical contract is for 22 hours per week; which equates to roughly 4-hours of class and 3-hours of prep per day. My typical day is a bit different however. I teach a couple of hours in the morning from 9am-noon, or 10am-noon depending on the day. My afternoons are spent tutoring students or planning my next big adventure until it’s time to head back to school in the evening. I teach for a couple of hours each night between 6pm and 9:30pm to business professionals who just left their offices for the day. Were there many challenges to volunteering in Ecuador? Honestly, one of the biggest challenges was volunteering as a group. There can be a lot of different personalities within a group of college students. Because of this, it can make simple tasks much more difficult. Aside from the group aspect, I would say a big challenge is acclimating to the different schedules there. Ecuadorians are accustomed to waking up with the sunrise, because of their location on the Equator. They eat very early and very late- which is another thing to get use to! What was a typical day like whilst you were in Ecuador? Because my trip to Ecuador was for volunteer work, a normal day consisted of working around the clinic where the group volunteered. Before we headed off to Pedernales, we stayed in San Lorenzo and worked in a low-income clinic. Due to the intense sun and heat in the country, building maintenance is a must. We worked on roofs, sanded and painted benches, painted walls, cleaned sidewalks, etc. It was a lot of hard work. Aside from the work, we were able to see the marketplaces. There were rows and rows of craft booths selling native items to Ecuador, such as fans and alpaca blankets. Taiwan was a place that I had visited before and knew that I could survive in reasonable comfort. There are a number of other countries that I considered, but I wasn’t sure if I could adapt to the living standard over the long term. How did you get a job working abroad? It was a little bit of luck I guess! I came to Taipei, the capital of Taiwan, on a 3-month tourist visa. In my mind it was enough time to either find a job, or plan for the trip home. 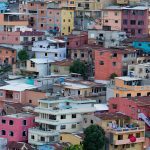 The first month or so was spent getting settled in and adjusting to the local lifestyle (think cramped apartments and delicious street food). After that, I started sending out emails with my resume to schools in the area. I tried to communicate as directly as I could with the schools, and even hand delivered my resume in a few cases. It wasn’t long before I was called in for interviews and teaching demos which led to contract offers from several different schools. Was is hard getting a visa to work and live in Taiwan? It wasn’t overly difficult, although it did take around a month for the paperwork to be approved. Getting a visa is pretty straight-forward as long as you have a business willing to sponsor you via a work contract. What are the best and worst things about living in Taiwan? Taiwan is renowned for its food and you can find something delicious to snack on at any hour of the day or night! Taiwanese cuisine draws mainly from Chinese roots, although there is a good deal of Japanese influence as well. If you ever visit Taiwan, be sure to check out the night-markets! Here you will find a vast range of tempting street food ranging from ordinary to exotic. I’ve picked up a bit of the language since I moved here, but regrettably haven’t taken formal classes. I’ve had many experiences where I’ve ended up buying the wrong food because my pronunciation wasn’t correct. I once bought a box of Century Eggs instead of normal eggs by mistake. No omelets were made on that day! Taiwan has a reputation for being very expensive, would you agree with this? The cost of living in Taiwan is certainly more expensive than South-East Asia. But if you compare Taipei to the cost of living in nearby capital cities (Tokyo, Seoul, Beijing) it isn’t so bad. I’d say $2,000 per month would be enough to give you a reasonable level of comfort. What is the best part of moving abroad? Getting to experience a new way of life and new culture for sure. There are so many things I’d never have seen or learned if I was only visiting as a tourist. Living in Taiwan and doing extended travel through neighboring countries has given me a greater appreciation of life and it’s intricacies. 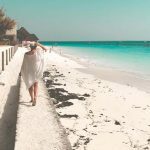 Was it hard to adapt to your new, expat life? Apart from the language I would say no. I consider myself to be fairly low-maintenance, and accepting of the things I can’t change. I’m sure that played a big role in my ability to adapt to life in Taiwan. There were challenges, and times when I missed the ‘California lifestyle’ but I didn’t face any serious challenges. What was your best moment of working abroad? I teach University and Business students here in Taipei. The best part of my job is hearing about the success of my students. I love getting letters or photos from students who got accepted to a University overseas, achieved a high TOEIC or TOEFL score, or from students who were able to communicate more fluently on a business trip. It might sound cliche, but having a job that involves helping others is the best part for me. What was your worst moment of working abroad? The only downside to my job is the work schedule which can be irregular at times. There isn’t much I can do if all of my students decide to take a holiday or business trip at the same time. To make up for the unstable salary I have to take classes at odd time-slots – leaving a lot of gaps in my schedule. What advise would you give others who want to move abroad? Plan a bit more than I did! Once you decide on a country I’d recommend reading up on it as much as possible. This can be information from guidebooks, bloggers, other expats, etc. Every bit of information will help you prepare mentally and avoid culture shock. It’s also a good idea to join local expat groups on Facebook before moving abroad. FB has a wealth of insight and information if you know how to find it. Seeing the struggles and challenges that other expats face can help you when you move to that city in the future. Thank you Chad, we can’t wait to visit Taiwan, it looks like an amazing place. Don’t forget to read our Work Abroad series. Any questions or comments, leave them in the comments below! We value and appreciate all our readers and supporters. If you wish to support CTG then please use our Amazon affiliate for your next purchase, it doesn’t cost you anything extra but we make a small commission, allowing us to continue building this website and sharing our love of travel with you.